I have secured an editor and will be shipping off “Inside the Gold Plated Pistol” in the middle of July. I am relieved it is about ready for a professional look. I see a light at the end of the tunnel! Take a look at the tab on top of my blog to meet the characters. 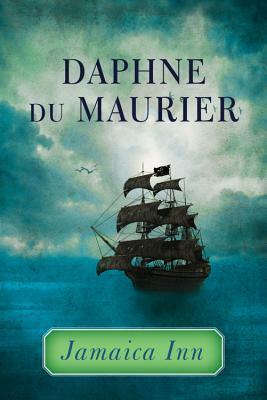 Soon – a post about Daphne du Maurier, Jamaica Inn, and The Birds. June 13 – Pete and I will be co-hosting the Lucky 13 Film Club together. We’ll be looking at the style of Brian DePalma films. Please join us and share your thoughts. Late June – Back from the annual educational traveling trip. This year I’m revisiting Rome and exploring for the first time, Sorrento, Capri, and Pompeii. Lots of pictures to post! The rest of the time, I’ll be spit-shining the manuscript. I’ll do my best to visit your posts, but I want to honor my July deadline. Oh you will LOVE Sorrento and Pompei, have a lovely time. Good luck with your manuscript too! Me, too! Your support means a lot, Ian. Thank you! That’d be great. Nice going. Have a great trip too ! Thanks, John. I can’t believe how long it has taken, but life pulls one in a lot of different directions. Congratulations on your book news! Thanks, Abbi. It will feel good to hold it in my hands. Hopefully not too much longer. Sounds wonderful and exciting. I loved The Birds. Hubby is still creeped out by the movie. Looking forward to reading more. Congrats on your mental acuity, then! Yeah, an editor is important. No matter how many times one self-edits, one misses something. Fresh, professional eyes will help polish the project. Oh, and I look forward to your comments on The Birds. Sadly I have no seen many of Hitchcock’s stuff, pathetic really I know, but when I saw The Birds after Psycho I actually preferred the former as it was so creepy, and you just never knew when those damned birds were gonna come!! I look forward to your returning. I remember seeing it as a girl and being very afraid for weeks afterward. I’m not surprised!! Its a pretty dark film, from memory, it has been a while. I really need to catch up on many of his other films though, I think I have seen one other apart from those two. The shame! Wow! A trifecta post! Great. I hope you will be able to come back on the 13th and share your thoughts. You are most welcome. De Palma is a great filmmaker to dive into. And that animated poster for The Birds. Wow! Great! On your blog, it seems to be exclusively lists. And what ranges of interest you have. I was wondering if you thought of telling your readers why number 1 is the best, etc. I think I could learn a lot from you. Many of your lists are people and films I’ve never heard of before. Hi Wendell, welcome! Please return on the 13th and give Pete and I your two cents. Congratulations on your book. I will have things to say on Brian De Palma. I have also signed up for the Annual Hitchcock Blogathon (to be held in July) with my review of The Birds, so will also like to contribute to your post when the time comes. It is also great that you are going to Italy. I have been only to Rome and lived in Florence, but my goal has always been to go to Venice and Naples someday. I take it is not long to Pompeii from Naples, and Pompeii is so rich in archaeological finds that I believe it is really a very interesting place to see. You and I have a lot in common. I admire your posts on a daily basis and look forward to your thoughts in upcoming posts. Thanks, DB! Fantastic news about the book Cindy and look forward to seeing your L13FC with Pete. Can’t wait for your travails about your travels but hopefully you keep the word count lower than my posts. 🙂 You got any advice for people going to a country without a tour group where the national language is not English? Is it easy to get by in Italy or France with a phrase book and winning smile? Lloyd, the trend these days is to use your smartphone and have what you want to be said translated into their language and let the phone speak for you. Most places in Europe, in the cities, they will speak English. Of course, you should try to speak their language unless you are in France, then they are disgusted you are butchering it. Hotel reception desk personnel, the concierge, is invaluable. They will take care to see your wants and needs are met. Greece especially. Spain. All very sweet and helpful. Germany and France, not so. I don’t have a clue about the Asian or Latin American countries, alas. Personally, I study up on conversational phrases and try my best to absorb it in. That’s the adventure!